The most idyllic portion of the Rhine is a 40-mile stretch in western Germany flowing north from Rüdesheim to Koblenz. Called the Rhine Gorge, the region is liberally punctuated with remote chapels, terraced vineyards, about 60 villages nestled beneath jagged peaks, and a medieval castle at virtually every bend of the river. The Middle Rhine has been romanticized over the centuries by numerous poets, painters and composers. 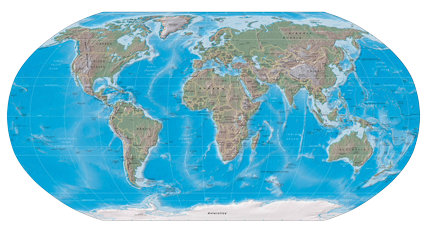 Noting that the gorge “graphically illustrates the long history of human involvement with a dramatic and varied natural landscape,” UNESCO designated it a World Heritage Site. In short, the gorge is a storybook blend of nature and manmade wonders. The four-hour passage through the gorge was the highlight of a week-long Rhine River cruise in June on the Australian-owned Scenic Opal, a 169-passenger luxury “Space Ship” that was launched in 2015. It is one of 15 ships in the Scenic fleet, 13 of which are sailing on European rivers this summer. The cruise was supposed to have started in Basel, Switzerland, and then head north on the Rhine through France and Germany before ending in the Netherlands, where the river empties into the North Sea. But heavy rains spanning several weeks in the region led to high waters and made southern portions of the Rhine unnavigable for larger vessels like the Opal. Numerous boats that ventured too far south were stranded — stuck up the river without a proverbial paddle. Fortunately, our captain made a strategic decision three days before the cruise started to park the Opal farther north in Mannheim, Germany, where we were bused after arriving by air in Zurich, Switzerland. So instead of visiting our first two ports by boat, we were taken there by bus. 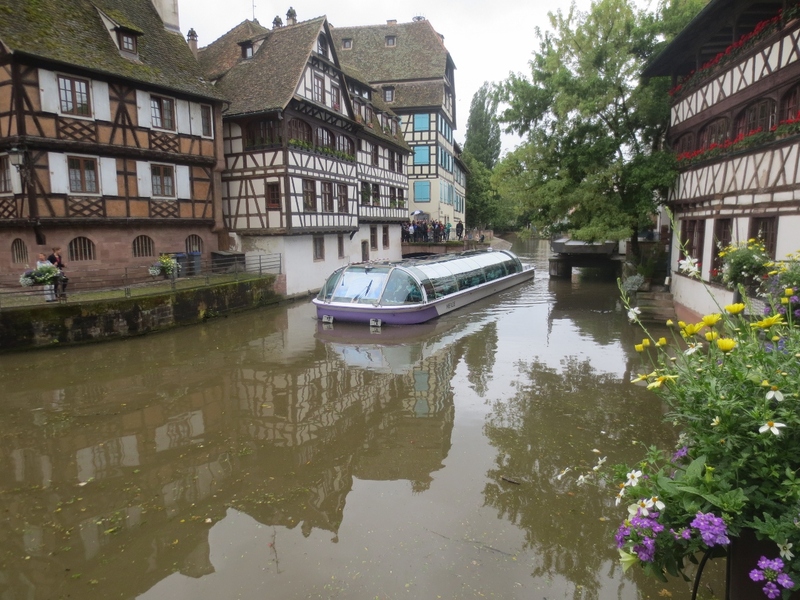 It made for a chaotic and exhausting first couple of days of the trip but we were able to see all of the ports on our itinerary, including the city of Strasbourg, located in the Alsace region of northeastern France on the French side of the Rhine. Strasbourg’s medieval city center, featuring an ensemble of historic houses, museums and churches, is also a designated UNESCO World Heritage Site. We also spent a day exploring the university city of Heidelberg, Germany, which was largely spared from bombing during World War II and thus retains its baroque charm. By the third day, we were back on schedule and set sail from Rüdesheim through the Rhine gorge. It didn’t take long to see the impact of the heavy rains and flooding. 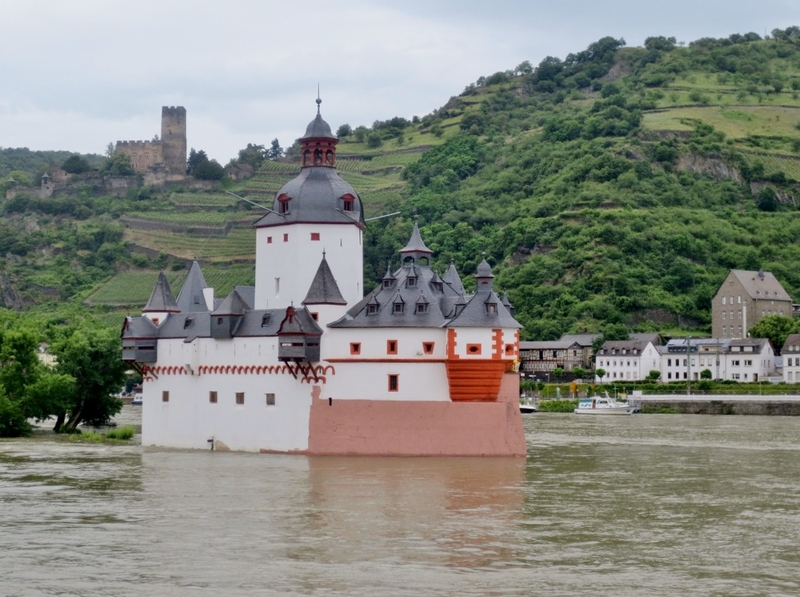 The famous 14th century Pfalzgrafenstein Castle, built on a small island near the town of Kaub, appeared to be aimlessly drifting down the Rhine, its tiny patch of land totally obscured by the high waters. The Rhine has long been a vital transport hub in Europe and the castle used to function as a toll booth for ships. We later passed the stunning Marksburg Castle, built in 1117 to protect the town of Braubach. Marksburg is the only castle on the Rhine that has never been destroyed, having survived the Middle Ages, the rule of Napoleon and two world wars. Our trip through the gorge ended in the city of Koblenz, located at the confluence of the Rhine and Moselle rivers. 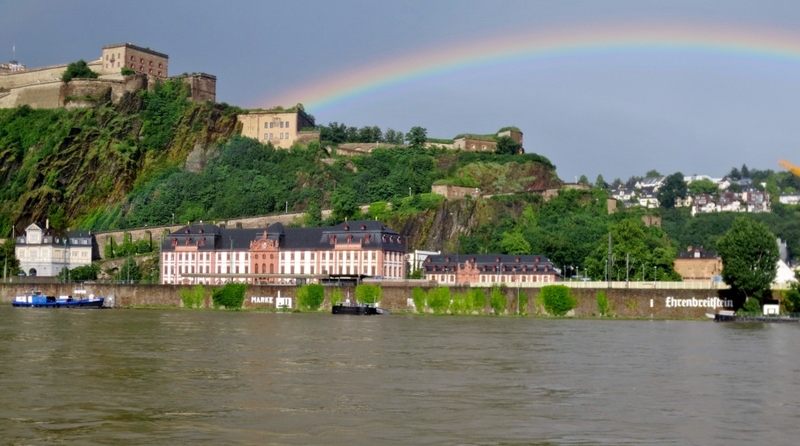 Finally, the sun peeked out for a few minutes and we were rewarded with a resplendent rainbow arching over the impressive Ehrenbreitstein Fortress, built high on a mountain in the early 1800s and now connected to the city by a cable car over the Rhine. The following day we took a walking tour of Koblenz and once again witnessed the flooding that has caused so much havoc in the region this season. 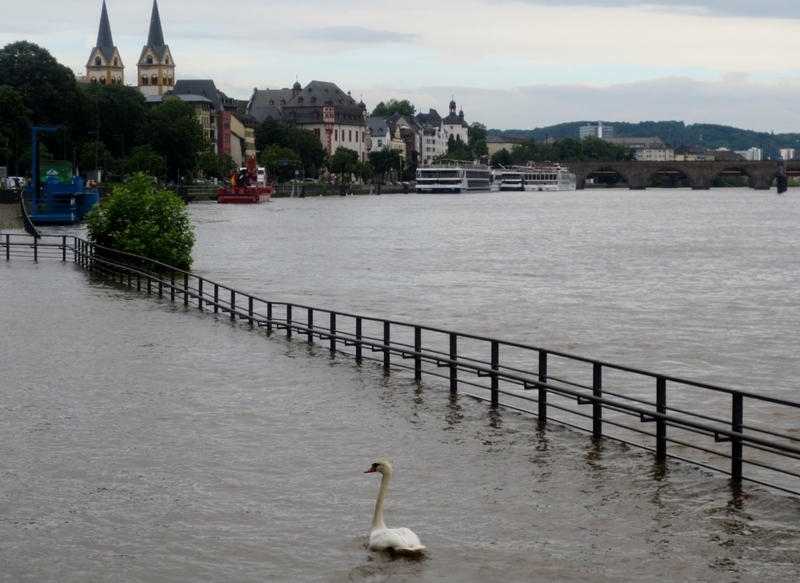 A popular pedestrian promenade on the Moselle was several feet under water. “We have never had so much rain as this year,” said Homeira, our Koblenz guide, describing an unusual weather pattern that has impacted much of Europe this spring, even leading to a several-day closure in June of the Louvre in Paris after the River Seine reached its highest level in more than 30 years. While the rain was an annoyance, the surprisingly cool temperatures – highs most days were in the 60s – were perfect for sightseeing. 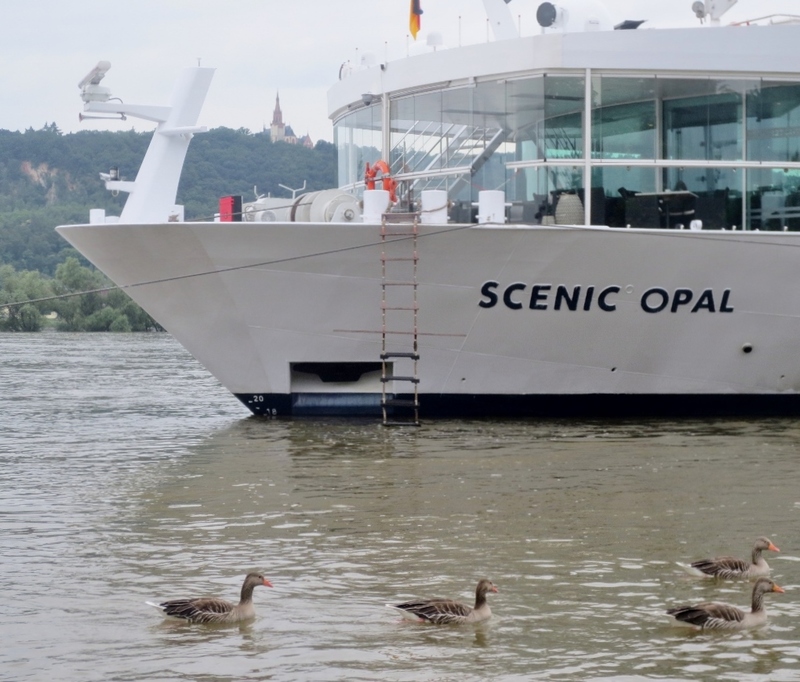 In addition to the sightseeing tours, Scenic did a good job of immersing the 153 passengers onboard – about two-thirds of whom were Americans and Canadians — in German culture. There were German language lessons, a performance by a local brass band featuring a long alpenhorn that looked straight out of a Ricola commercial (see video: German brass band), and a lecture about German beer. We learned about kölsch, a light, all-barley ale brewed only in Cologne, our last German stop on the itinerary and the largest city on the Rhine, with a population of more than 1 million. 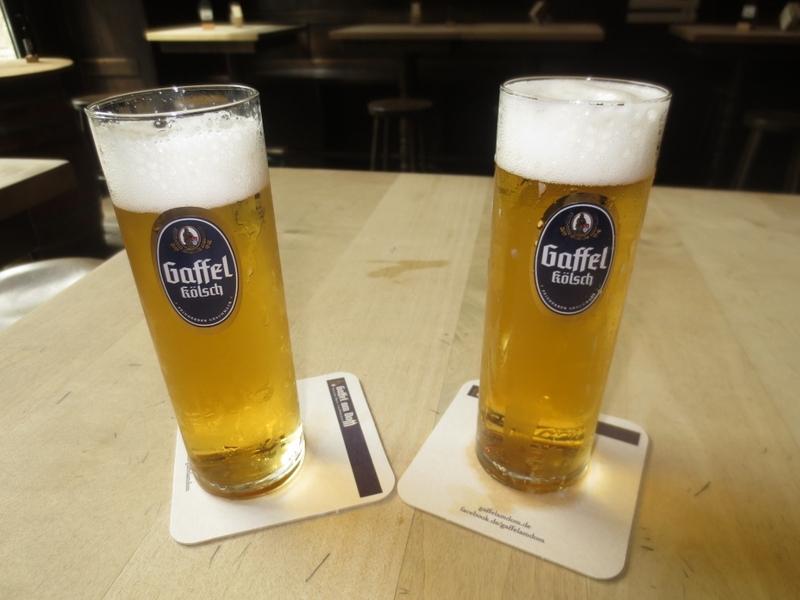 Kölsch, produced by more than a dozen breweries in the Cologne area, is typically served in small distinctive glasses called stange. They are designed as such so that the beer can be consumed before it goes flat. Kölsch is the Lay‘s potato chip of Rhineland beer. As we noticed during a visit to a Cologne pub, it’s rare to see a German drink just one. Our cruise concluded with a full day in Amsterdam, where we ventured into the countryside to see the lovely Dutch villages of Volendam and Edam and tour a cheese factory. The following morning, we were bused to the airport during yet another downpour. By then, we had grown used to it. Despite the inclement weather throughout the week, the historic – and romantic — Rhine River gorge had single-handedly made the trip unforgettable. Nearly 200 years later, what Longfellow admired is now even more historic and every bit as magnificent.